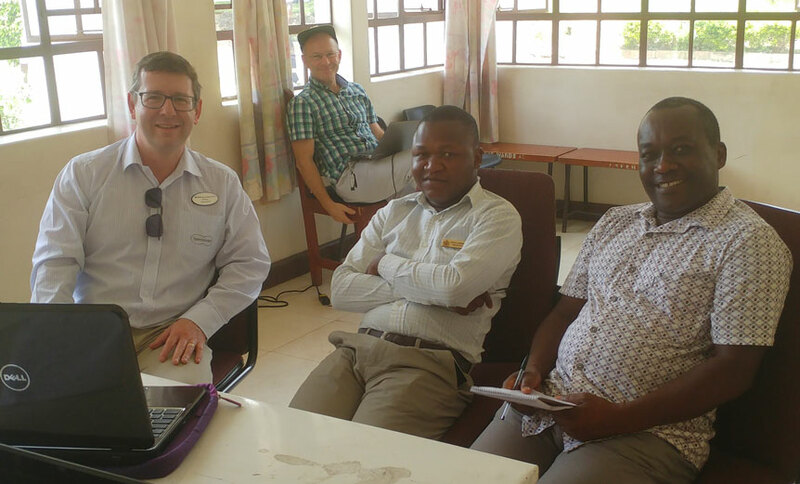 Big-hearted Scots opticians have taken care of the running costs of training frontline eye health workers in Malawi, helping to prevent unnecessary blindness and safeguard the sight of children. They have committed to supporting the course for three years, laying vital foundations for the training of others and creating a lasting eye care legacy for stopping cataracts and glaucoma in their tracks. The £3,000-a-year fund set up by staff in Kirkintilloch and Bishopbriggs has helped to cover the running costs of the course while also providing accommodation for eye care workers and supplying them with their official certification upon completing the course in Blantyre, Malawi. A link between The Royal Hospital for Children in Glasgow and the Lions Sight First Eye Unit in Malawi was first established around 12 years ago. Realising that the country had no dedicated paediatric ophthalmology hospital services or paediatric ophthalmologists, a Scottish team travelled there to establish and train Blantyre’s own team of specialists on the ground, creating specialist paediatric-trained eye care professionals. 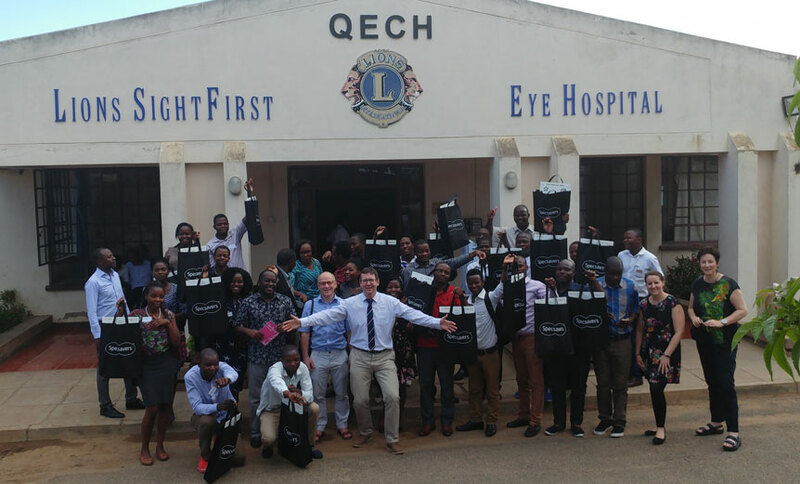 An educational course was set up in order to educate those budding clinicians, and local Specsavers store director Neil Drain was invited to provide an optometric perspective, subsequently visiting Malawi on half a dozen occasions to help the training process and ensure that children would benefit from the service. While the team’s significant educational effort was funded by the Scottish Government for nine years, that support came to an end in 2017 – but Neil generously stepped in to fill the gap for 2018-20. In 2018 alone, the £3,000 funding met the costs of travel expenses and provision of essential kit to allow delegates to put their training into practice, including occluding spectacles, occluders, and pentorches. Specsavers staff embarked on several fundraising initiatives to help meet the costs, and the course has continued to run successfully with 22 delegates graduating from all over Malawi in 2018. Generating further much-needed funds, assistant store manager John McAllister is undertaking a half-marathon in May and a 10k in September, while staff and their families are set to hold a handmade craft sale in May. Neil says: ‘With a vital pipeline of fundraising support in place, we’re now looking forward to at least another two years of successful courses. Education is so important at grassroots level for tackling the causes of unnecessary blindness. ‘We’re so proud to be giving Blantyre’s optometrists and ophthalmic clinical officers the tools they need to provide frontline eye services, establishing what we hope is a lasting legacy of treatment that will help to prevent a range of serious conditions. ‘It’s hugely gratifying to see how the project has taken off, continued to grow, and found its own identity over the past few years, and the support from Specsavers in Kirkintilloch and Bishopbriggs remains key to that. ‘All involved in running the course have witnessed a huge increase in awareness in the community, resulting in a significant rise in visits to the facility for treatment. ‘This includes a large proportion of children with conditions including cataracts and glaucoma which can result in blindness if left untreated. More than 130 frontline ophthalmic personnel have now been trained to recognise and refer children who need treatment or surgery to Blantyre.